I'm loving teaching plein air at Tidewater Farm in Falmouth, Maine. We've got a great group, and it's fun putting together exercises to help them get to the next level. 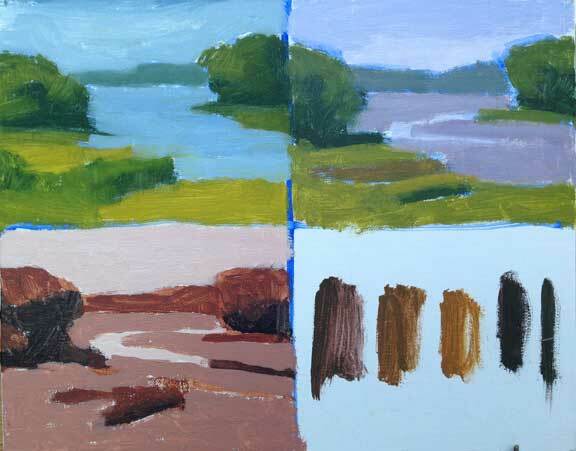 Ten minute paintings are a good warm up (top left and right), and a four value under painting is a great foundation for color (bottom left). Examples of mixing browns (bottom right). 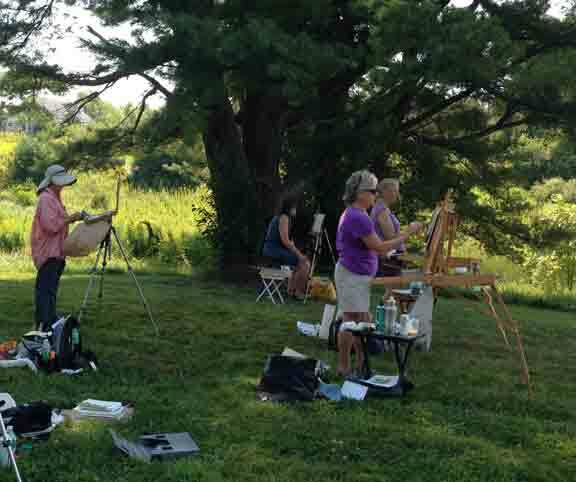 Thanks to Carol Marine for introducing me to 10 minute paintings, and to Marc Hanson for the color over values exercise.